Oppo F3 Plus is the bigger brother of the selfie-focused F3 smartphone. It maintains dual front cameras while also packing higher-res rear camera and a larger battery. 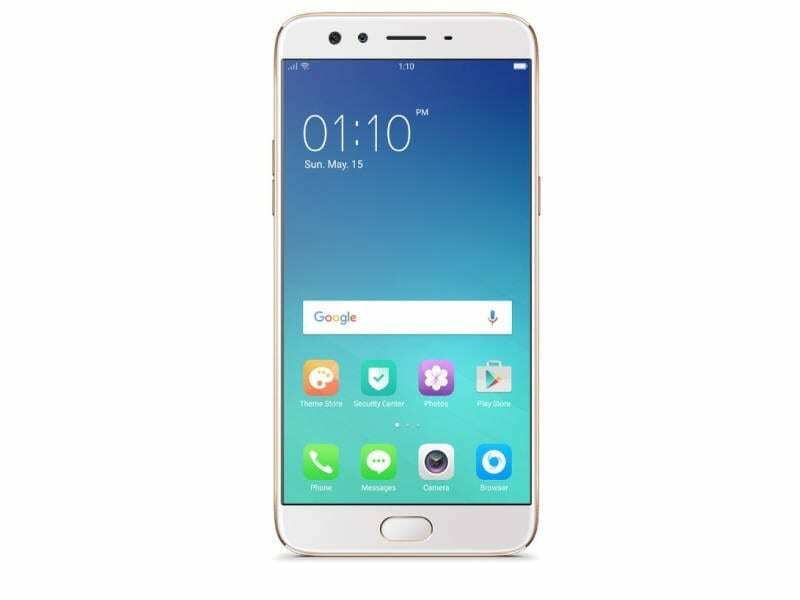 You find in the Oppo F3 Plus an attractive, sleek device featuring ‘meticulous design.’ The smartphone sports an all-metal body, which Oppo says passed through rounds of sand-spraying, polishing and computer numerical control (CNC) milling. The surface looks quite smooth and it has well-rounded edges. If slimness is a factor, you may find this phone interesting. At 6 inches, Oppo F3 Plus offers larger screen estate than the regular F3 model. Full HD (1080p) resolution of the display signals sharp images and great colours. Oppo also targets selfie enthusiasts with its F3 Plus. The device features 16MP and 8MP cameras on the front side, just like the standard model. This enables you capture images with bokeh effects. A 120-degree wide-angle lens makes this perfect for group selfies. There is still the Beautify 4.0 feature which you can use to further fine-tune images. The Oppo F3 Plus loses the 13MP rear camera of the F3. It comes instead with a more robust 16MP shooter. This features an ‘exclusive’ Sony IMX398 sensor and a wide f/1.7 aperture. It has phase detection autofocus for fast focusing. You get a more powerful Qualcomm Snapdragon 653 processor in place of the F3’s MediaTek unit. This chipset is faster and also gets the support of 4GB RAM. This shows the ‘Plus’ moniker isn’t just about the size, but also about performance. Onboard storage is generous at 64 GB and you will be able to expand it by up to 256 GB, if you feel like getting more. The Oppo F3 Plus comes with Oppo’s ColorOS 3.0 software, a customised version of Android 6.0 Marshmallow. A high capacity 4,000mAh battery provides power. This is the type that promises up to two-day runtime. The juicer supports fast charging, an important feature considering the size. Oppo’s VOOC Flash Charge tech supposedly lets you get two hours of talk time when you charge for just five minutes. The Oppo F3 Plus features a ‘solid-state’ fingerprint scanner with a hydrophobic membrane. Oppo F3 Plus also gives you speedy dual-band Wi-Fi a/b/g/n/ac. Oppo F3 Plus is available in Nigeria or Kenya. You can buy the smartphone at leading online stores in your country. Oppo F3 Plus Price in Nigeria ranges from 130,000 Naira to 195,000 Naira depending on your location in Nigeria.